Each Isomer website has a navbar and footer. Navbar can be configured to be either as a 1st level or 2nd level nav. 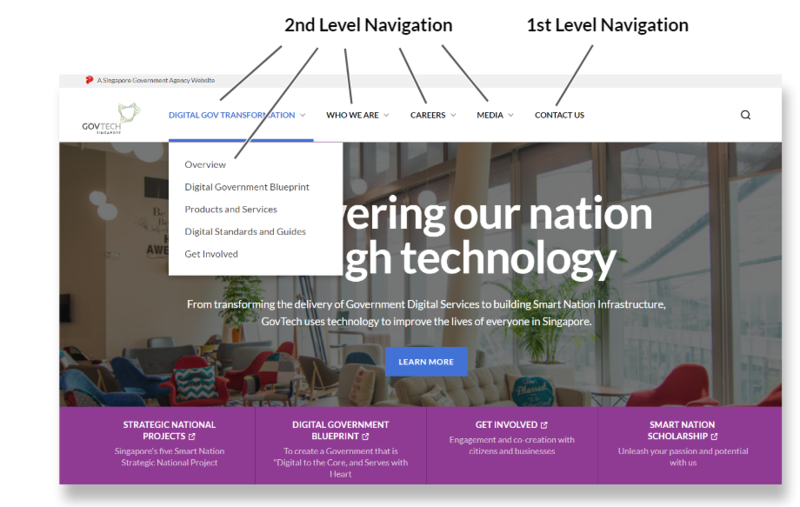 Items in the navigation bar can be configured to point to an external website. Footer are automatically generated based on the content in your navbar. You will not be able to change the content only for the footer. 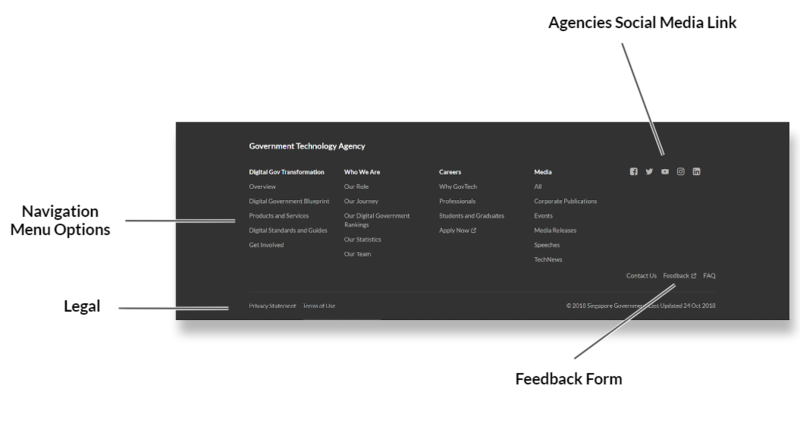 “Agencies Social Media Link” is an optional feature. This is disabled by default.